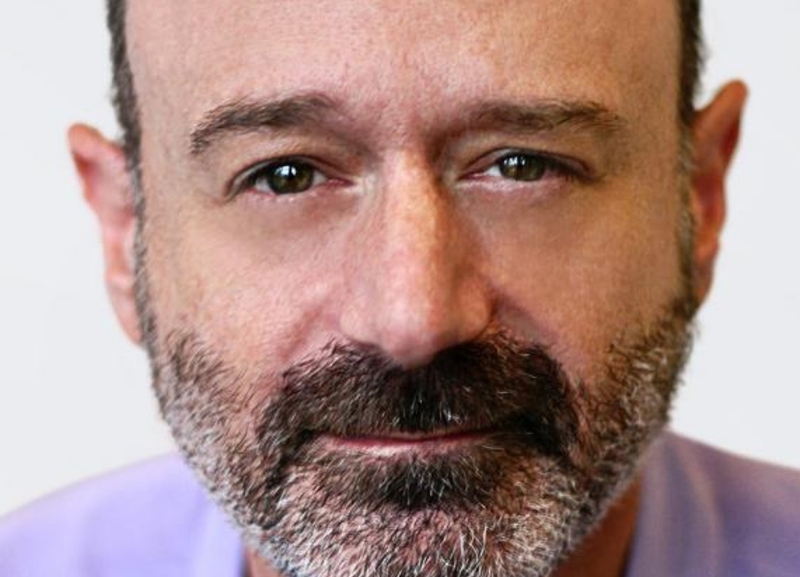 Long-time Cramer-Krasselt Chief Creative Officer Marshall Ross has been a storyteller for more than twenty years. Along the way, he has helped to create an enduring legacy of iconic branding, including Corona Extra’s now ubiquitous Find Your Beach and Porsche’s new Every Day Magic. Taking his own wisdom to heart, Ross has decided to start telling different kinds of stories, and this time, they’re for himself. Following in the footsteps of some of his favorite authors including Dan Brown (The Da Vinci Code, Angels and Demons) and Chicago-born Michael Crichton, (Jurassic Park, The Andromeda Strain), Ross has now begun his own writing journey with the release of his first sci-fi thriller, Lost Arrow (Publicnoise Press) which is the first of a collection titled, The Kalelah Series. Currently available on Amazon, the book has earned mostly five-star reviews. 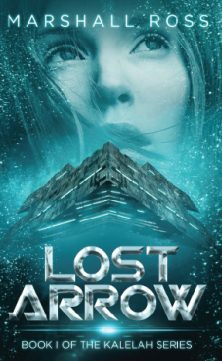 An Amazon description of your novel, “Lost Arrow” starts with the headline: “We thought we knew our world. We were wrong.” So how wrong were we? 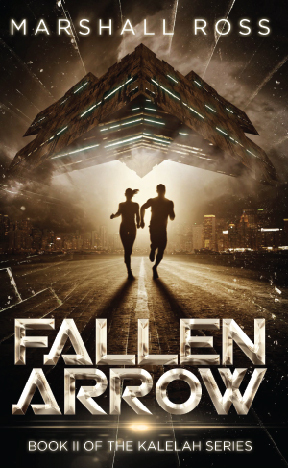 What we have in “Lost Arrow” are two human civilizations, one alien and one Earth-bound that accidently discover each other and are forced into a conflict neither wants — but can’t manage to avoid either. From two different perspectives, they find themselves facing an unimaginable reality. So, enter two reluctant heroes: Sarah Long from a small town in Ohio, and Trin from a world so far you need to fold space to get there. Both are in over their heads, neither are soldiers or politicians. But somehow, they have to save their worlds. Piece of cake. Seriously, I have to tell you I have read the excerpts in the book. It’s really good. Thank you very much. It’s tough to get a compliment from a writer so I appreciate that. How was it for you making the transition from telling 30- and 60-second spots to a novel? Let me re-phrase – how was it transitioning to writing an entire series? I was careful to use the words series verses trilogy, because “The Kalelah Series” is not a true trilogy in the sense that you have three independent stories that are connected by characters, place or conflict. Think of it as a TV show with three episodes. Did Lost in Space have any influence on the serialization? When you’re growing up in Chicago, you have to stay occupied. I spent time focusing on the space race. And I did enjoy the serialization of Lost in Space. Another reason I serialized the books was because as a new and unknown author, I wanted to give readers the opportunity to have a trial sample at a very low cost. With shorter attention spans, breaking things up is helpful. I think it’s kind of the way we consume content now. It’s really interesting to me how many people asked, “How long is it going to be?” They didn’t say it with the tone of “Oh, I hope it’s really long.” They said it with concern. If you’re J.K Rowling you can write something as long as you want it. You have a loyal base, an audience who trusts you. But someone new I think has to earn that trust. Small bites seemed like a good strategy for me. Let’s talk about your process. How long has the idea been floating around in your head? I know for me, I have film ideas from 10 years ago that have been delayed. I think the idea hit me five years ago. I’ve been concerned about the extremist nature of the discourse in our world today. And it’s really a worrisome thing to me. I wanted to write about it, but I don’t have the credibility or the expertise to write about it from a religious standpoint, a philosophical standpoint or a historical standpoint. And I’m not disciplined enough to become an expert either. So, I had this idea of this crazy discovery that takes place in the world of sci-fi. And that lets me explore my worries in a light way, with story and characters and action, instead of a pedantic sort of heavy way. Sci-fi has traditionally been used to make commentaries about society – Star Trek, Twilight Zone. That is what I love about sci-fi. It lets you go somewhere else to a safe place where you can talk about something and not shove it in people’s faces because it’s fiction. It’s not their lives, it’s not their world. You get to talk about it. When you set out to write, did you pen the entire story and then break it up or did you write one first and then go from there? I plotted the entire story book from day one. I wrote 15 pages of the first book in a voice that was completely different from what you’ve read. Once I liked that premise, I plotted out the entire story and started writing. After I finished the first book, I gave it to a bunch of people who really didn’t like it much. Oh wow. I know that feeling. They all liked the concept, but they didn’t love the characters. I hadn’t learned at that point to really walk inside my characters’ shoes. So, I rewrote it entirely from scratch and then rewrote it one more time and that process made a big difference. Do you outline? I do. I need to know where things want to go. What steps do I have to take? For me it was important to say, “Well, if that’s going to happen, I have to set that up.” It can’t just happen. I have to foreshadow that. As writers, we aren’t allowed to have writers block. I can’t walk into the office and say, “I can’t do anything today. Sorry Porsche.” Did you experience any hurdles or writer’s block? In advertising, we have tricks for avoiding writer’s block. You say, “Okay, I’m just going to fill this page with juxtapositions or I’m going to fill this page with stupid puns. I’m going to fill this page with headlines that begin with, “in a world.” And you’ve got a brief. You’re working from something that’s already given you the story. It’s just your job to say it in a way that makes people not hate it. In this case, there were two periods where I was lost. I had the outline and I knew what had to happen I just had trouble getting the characters through their paces. What did you do? I forced myself to write four pages a day. That was my little ritual or as close to it as I could get. Two thousand words sounded like a good day. I just forced myself to do it. And the next day, the ritual was to read what I wrote, and rewrite it. It warmed me up for what I needed to write next. In advertising, we’re forced, because of whomever the client is, to write in different voices and explore different emotions. How did you feel as a man writing a Sarah? I tried not to think about it that way, a man writing about a woman. What I needed was a character who was emotionally open to what was going on, who was willing to question things and even herself along the way. I think men can be too closed in too many ways to see the options, or the limits of a situation. So, I found writing for Sarah to be liberating. I felt like she could accomplish more change in her arc as a character than, say, Trin another lead could. And the story needed someone who take that kind of journey. You’re juggling Cramer and three novels. How did you how did you approach both? I’m lucky that I travel overseas a lot, which means I have return flights from Europe to the United States and those are during the day. I don’t want to sleep on those flights, because you land at 3:00 or 4:00 in the afternoon and I’m not good from getting up from naps. So, I had nine hours of uninterrupted time. Those were amazing writing sessions. Who the authors that inspire you? You know Crichton was such a brilliant and prolific “Mix Master” of science and drama. And he had a quick style. Dan Brown’s research is inspiring to me. What is your writing kryptonite? Email is kryptonite for me. It’s a horrible distraction. But I also think fear of fake is kind of a stumbler for me. I’m really worried about authenticity. And so, that really gives me pause. And when I get worried, that I’m in that vein, it’s really hard for me to move past it. I have to basically start over. Sometimes it’s a little bit spiritual to me when the characters start telling me the story. Without a doubt, that’s where you want to get to. You want to flesh somebody out well enough so that they start dictating how this scene is going to go. You want your characters to be so well drawn, that their responses are obvious. You can get in a time machine and go back and talk to your younger writing self. What do you go tell them? Structure matters and character point of view is a religion. You need to be really faithful. ”Lost Arrow” is now available on Amazon. Click here to order.